I have always considered my children to be smart and at times the most amazing child to have walked the earth in recent history–maybe even ever. But I am a very realistic person, so I always knew I had a bias there. As Brayden started school, I noticed there would be hinting around him being smart, but never any overt amazement at his level of intelligence so I figured he was pretty on par and average. Then Brayden got to third grade. In our district, third grade is the first year that they place students in the gifted and talented program. We got a letter in the mail telling us he was identified as gifted. Through that year, his teacher always raved about how highly gifted he was. In fourth grade, that continued on with his teacher that year. During that school year (this was last year), I decided I needed to get a book on parenting gifted children. After some looking, I went with (affiliate link–>) A Parent’s Guide to Gifted Children . Kaitlyn is in third grade this year and has been placed in the gifted and talented program, also. Let me just say, I so very much wish I had read this book years ago. While schools are typically hesitant to label students as gifted until around the third grade, that doesn’t mean you aren’t parenting this child from day one. There is good reason for waiting to identify giftedness in students; in early grades it can be hard to tell which students are gifted and which are doing well due to high amounts of nurturing in the years before school at home. There are many unique parenting difficulties that come along with raising a gifted child. A big reality is that other parents typically have no interest in listening to you trying to hash out difficulties that come along with a gifted child. From the outside looking in, it sounds like whining because you have too much money and don’t know what to spend it on. The reality, however, is that there are real challenges, just like anything with parenting, and as parents we just don’t know the right way to respond to situations that come up. Often times we don’t realize that situations that come up are connected to the giftedness. We can think a child is being overly sensitive, lazy, or rude. Parents of gifted children are given very little resources to help that child, and the same is generally true for teachers and schools. If you suspect (or know) your child is gifted, I highly recommend you read this book. It is written by four people who have professional experience with gifted children. 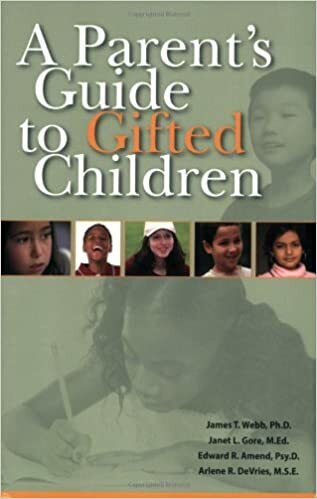 This book gives info on what the characteristics of a gifted child are, the different areas of giftedness, interpersonal issues with peers, friends, and siblings, motivation and underachievement, discipline, stress, education, parenting, communication, perfectionism, and more. Like I mentioned, I wish I had read this book earlier on the path of my parenting journey. There are things I have learned that are helpful for specifically parenting gifted children. It is fantastic and full of information. I will be discussing some of my favorite points and quotes from this book in the future. Let me add, I haven’t discussed the topic of giftedness much on this blog because I do not desire to come off in a bragging sort of way. My intention in discussing the topic is not to brag. The point of this blog is for me to share my parenting experiences and insights with people. Parenting gifted children is part of my reality and journey and so I will share what knowledge I glean over the years. My son is gifted, and it is a little tricky having him in a traditional 1st grade class. I'm interested in this book- his personality is the thing that is challenging for me- I'm always curious if I just don't "get" 6 year old boys, or if there are greater things at play. I'll have to check this out! I am currently reading this book now, and it has been tremendously enlightening with regard to my preschooler. She meets many of the characteristics listed, and the information dealing with her strong-will, overabundance of questions, and sensitivity to being told what to do has already proven effective. I would be very interested in your parenting experiences and insights on this matter. I hope you continue posting them. Just bought this book off your recommendation. Thanks! I am so glad! You will love it!